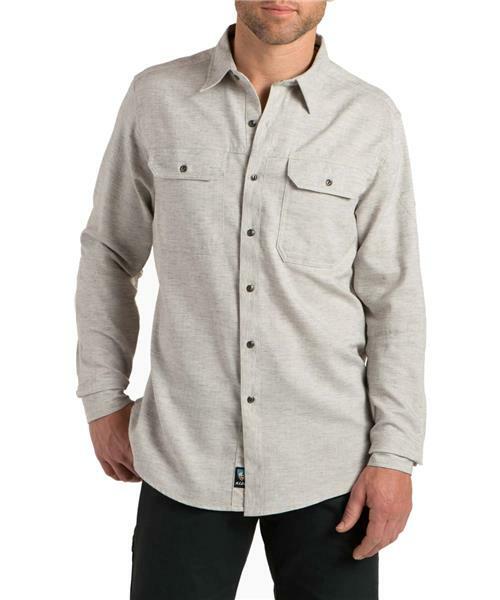 The KÜHL Shiftr™ Shirt features a lightweight cotton/linen/polyester blend for cool comfort and excellent wicking. The multi-tonal twill with a touch of linen shifts effortlessly from mountain town to beach resort. KÜHL's patented 5-panel articulated sleeves provide freedom of movement. The button front Shiftr™ features 2 chest pockets with button closure, an inside security pocket and 2-button adjustable cuffs. KÜHL's military style custom cateye metal buttons add stylish detail.